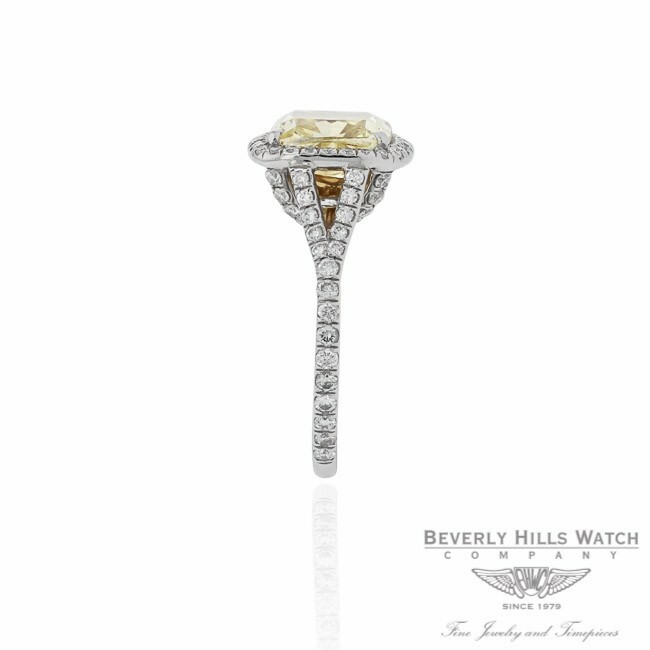 Designs by Naira Yellow 3.32ct Cushion Cut Diamond Platinum Ring VEILB1 This ring is designed and handcrafted in our Atelier Beverly Hills. 3.23ct Fancy Yellow Cushion Cut Diamond set in Platinum and Diamond custom handcrafted Ring. 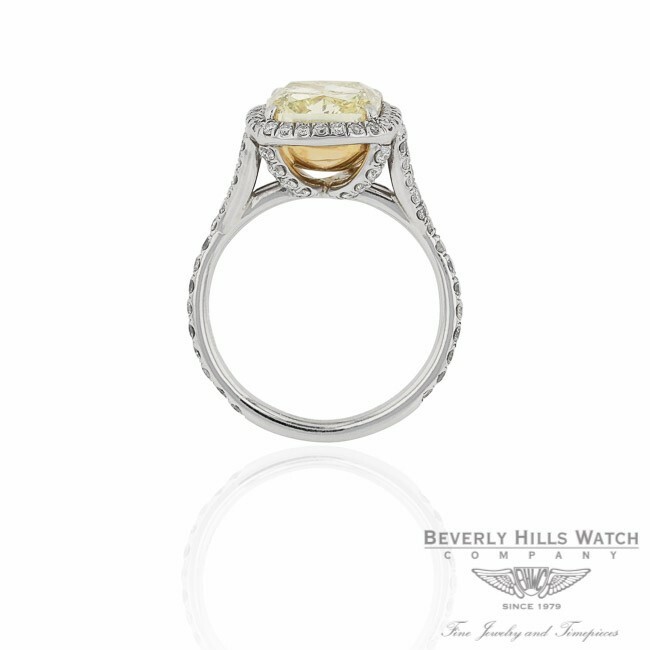 The ring contains 83 full cut diamonds with an approximate total weight of 1.24ct. GIA Certified. All custom handmade jewelry. 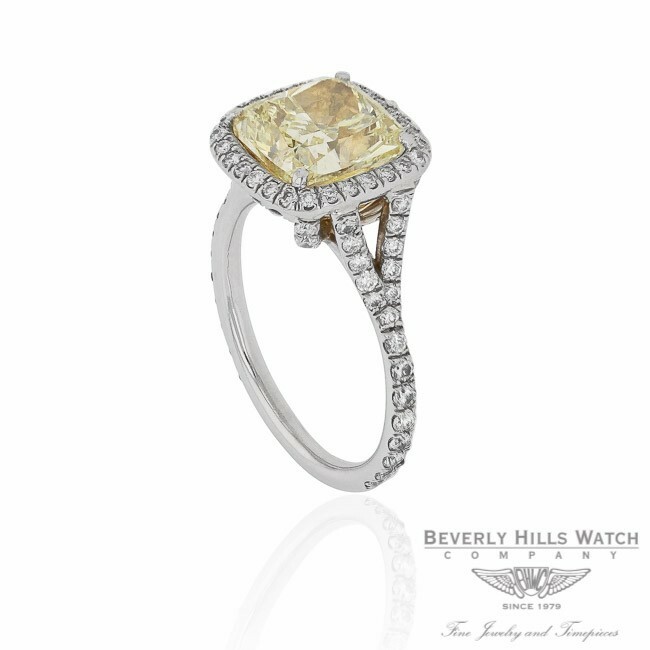 The Exclusive Beverly Hills Watch & Fine Jewelry Store since 1979. 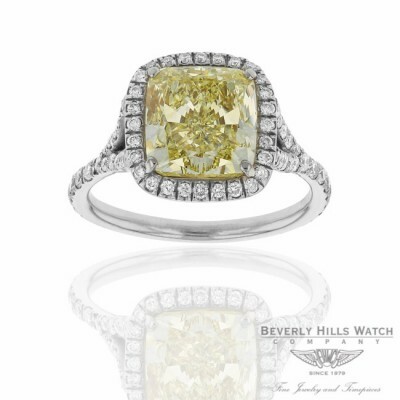 Fourth generation family jeweler, specializing in engagement rings, custom jewelry designs and loose diamonds. We are the specialist and your connection.